Are Semi-Custom Kitchen Cabinets the Best Choice for Your Remodel? Cabinets are an essential part of your living space. They come in three categories: stock, semi-custom, and custom. Many find that semi-custom products offer a practical middle ground that’s more cost-effective with greater versatility. Is this the best option for your remodel project? Does Your Kitchen Have a Unique Shape or Layout? There is more flexibility with semi-custom cabinetry than with stock products. If your kitchen has a unique layout with unusual dimensions, then you should focus on custom or semi-custom lines. This will help ensure that you can use all of your available space with few or no filler strips. Will You Find the Features You Want in a Semi-Custom Cabinet? Sit down with a pen and paper and write down all the features you want and need. This will help you determine if semi-custom cabinets will give you the results you want. Compare your list with available product lines and come into ASA Cabinets and speak with one of our experienced designers to determine if semi-custom is your best option. Are You Looking for Ways to Save on Your Remodel Project? Cost is a major factor when starting a remodel project. If you need the lowest price possible, you can find stock cabinets for approximately $60 to $100 per linear foot. Custom cabinetry averages between $500 and $1,200. Semi-custom provides an attractive balance of cost and features with an average price of $100 to $650 per linear foot. Today’s semi-custom cabinets are very accommodating with more features and size options. You may find that you can save time and money by designing with a semi-custom line compared to paying for fully custom cabinetry. Visit our website, stop by our showroom or contact us to learn more about buying kitchen cabinets for your remodel. Semi-custom cabinetry is a smart choice for homeowners looking to remodel their kitchens. When we think about high-end, magazine worthy kitchens, fully custom typically comes to mind. 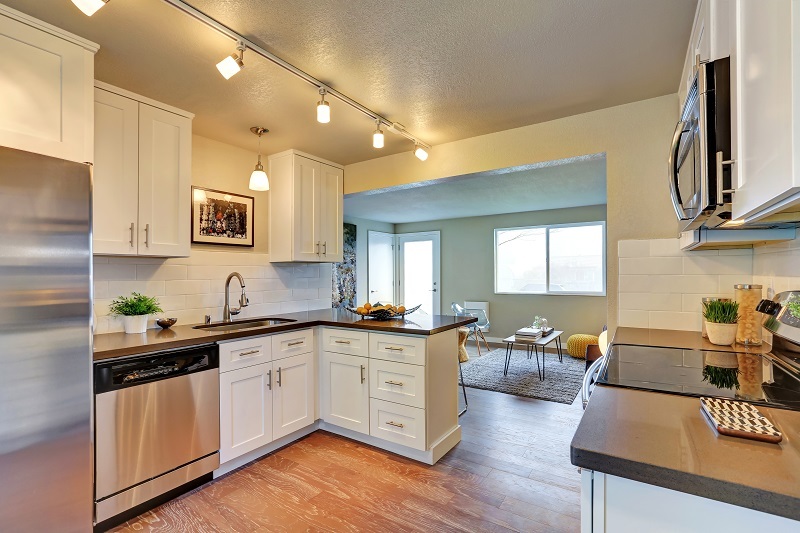 Everything from the cabinets and countertop to the faucets and kitchenware is high-end, right? It may come as a surprise, but even award-winning kitchens can be completed with a value orientation, by using what is known as semi-custom products. Fully-custom everything has been the recent wave of interest from designers and writers, but what we see from our Michigan based customers is that semi-custom options offer the same level of quality and beauty without the added cost. Today’s semi-custom options far surpass the fully custom options of just ten years ago. The options which typically fall into the semi-custom category include material, color, panel design, and size. The customizability depends largely on the selected manufacturer, so we can help you navigate the vast variety available on the market. As the premier construction and design material company in southeast Michigan, ASA has a diverse supply of quality materials for most projects. In addition to our massive warehousing and professional showroom, ASA has also built an extensive network of suppliers. ASA serves both commercial and personal customers, so we understand what it takes to monitor quality at scale. We work diligently with our customers regardless of project size to get things right. From the kitchen to the bathroom, we’ve got you covered. We invite you to explore other articles posted right here on our blog, with topics across a variety of themes we are sure you will find interesting. Have questions? Come visit our showroom or contact one of our ASA Cabinets designers.